Rumors have always surrounded Kurt Cobain’s role in his wife’s Courtney Love’s band Hole. Love detractors have always maintained that the majority of Hole’s breakthrough album “Live Through This” was written by Kurt Cobain. 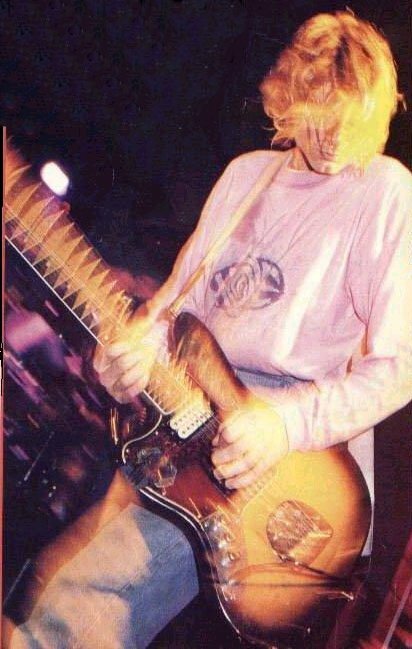 The band members have always denied this but it’s apparent that Kurt did support his wife’s band, as you can see by this photo of him wearing a Hole shirt during a Nirvana concert on December 4, 1991 at The Academy in Manchester, United Kingdom. The band logo on the shirt is similar to this early version of Hole’s band logo. The Hole “Live Through This” album was released on April 12, 1994 only four days after the body of Kurt Cobain was found. 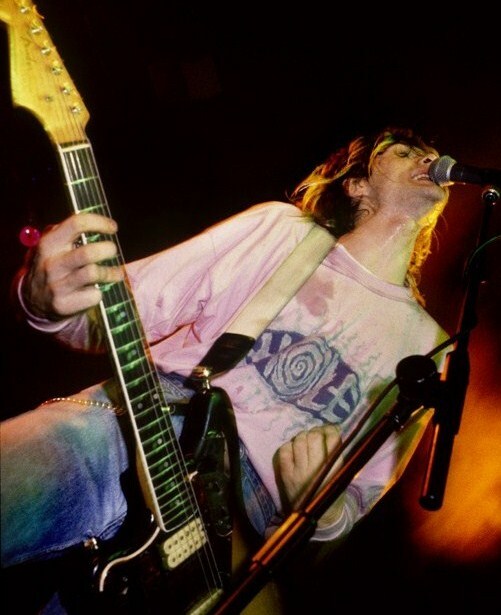 Cobain did contribute background vocals on the track “Asking For It” but was not credited and he was not thanked on the album credits. Funny thing is that Dave Grohl was thanked.